Mama mia! Authentically Italian, Bene is a light-hearted, upbeat and fun-filled modern Italian trattoria that the whole family will take pleasure in. Warm and welcoming, the intensely aromatic aromas emanating from the open wood fire oven encourage one to enter, relax and enjoy. Share a pizza, pasta dish, antipasti or a grilled meat as you soak in the jovial ambience around you. Would you like to receive our best offers and promotions? Send an email to [email protected] and wait for news and more information. 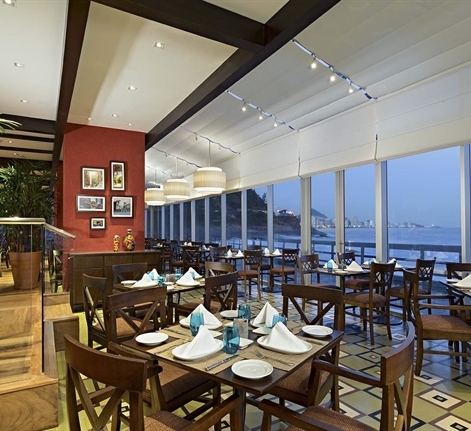 Italian Restaurant located in the South Zone of Rio de Janeiro with incredible sea views. Augusto Piras Italian chef Augusto Piras has been in charge of the Bene restaurant since 2015 when he was invited to provide consulting services. Graduated in hospitality from the Istituto Alberghiero di Stato in Alghero, he organizes the kitchen, makes the purchase of the best products and the final elaboration. With great care, he placed Bene in the top 10 restaurants in Rio, according to Trip Advisor. Chef Ataniel Sousa Ataniel Sousa was born in São Paulo and began his internship at the old Sheraton Mofarrej, in the heart of Avenida Paulista. Throughout his career, he has been in Sheraton of Bahia and Sheraton Porto Alegre, where he worked for 11 years. Since 2014, he is part of the team of Bene Rio, where he can put in practice all his love for Italian cuisine.